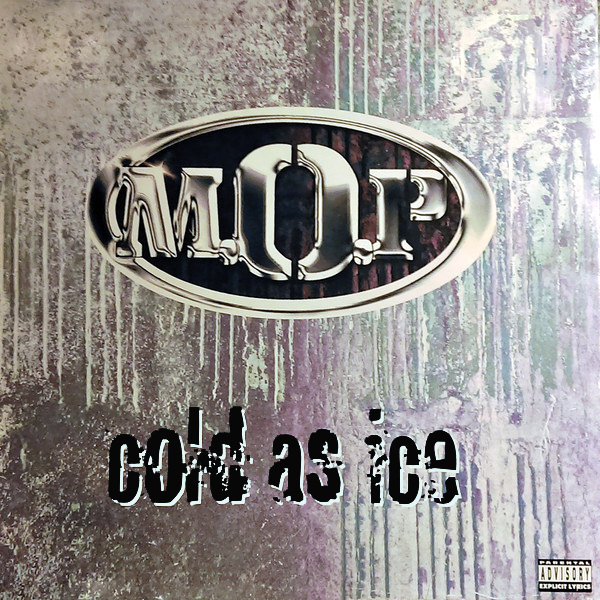 Cold As Ice - M.O.P. January is upon us and in the northern hemisphere it's winter and as Cold As Ice, at least that is what M.O.P. tell us. It certainly looks quite chilly on the original single front cover artwork with the ice on the window, or something to that effect. The babe on the remix, though, looks exceptionally chilly, but if she will go out in the snow wearing nothing more than a swimming cap, then she ought to be expect to be as cold as ice. Dive! What did you get for Christmas? That's nice. 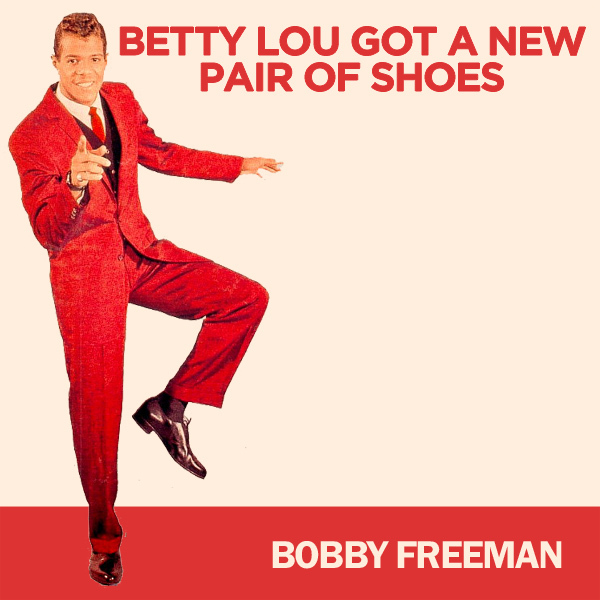 But did you know that, according to Bobby Freeman, Betty Lou Got A New Pair Of Shoes. On the original single front cover artwork, there is no sign of Betty Lou, or her new shoes. On the remix, there she is. I pair of slingback stiletto heels, if we are not mistaken. And that seems to be almost all she is wearing. Bangles! A Merry Christmas from all of us here at AllBum.Art. 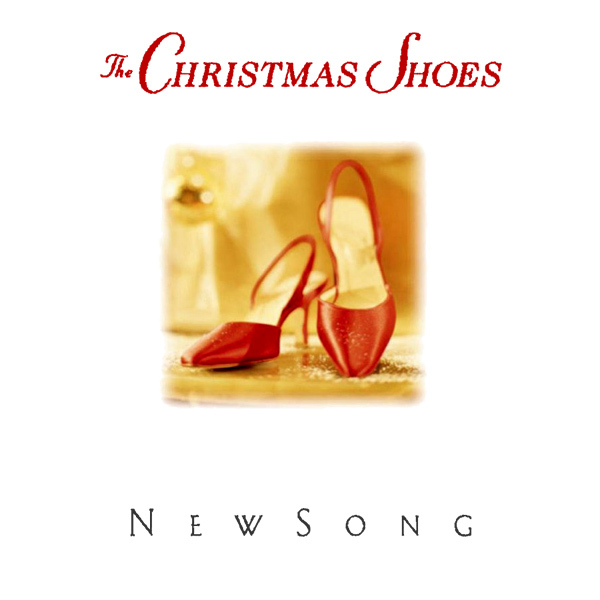 And to celebrate the furtive season, we bring you a remix of Christmas Shoes by Newsong. On the original cover is a pair of shoes in a vaguely festive setting. On the remix we find a pair of shoes in a much more festive setting, complete with tree, presents and a cute babe wearing a Santa outfit and stockings. Merry! We always like to bring you something special for Halloween. This year it is the turn of Whodini and his spooky song, Freaks Come Out At Night. 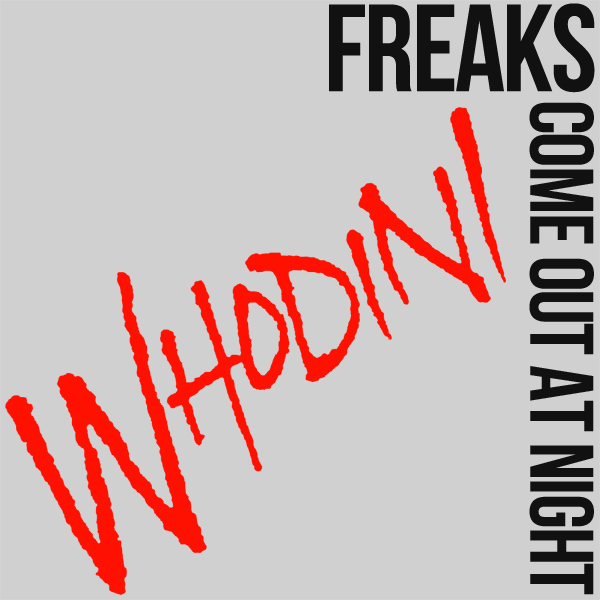 The original single cover artwork is lackluster, with the only indication of anything spooky being the fact that the words Whodini appears to have been written in blood, perhaps. On the remix we find a babe who is very freaky, and who has come out at night, out of her dress that is. Dark! 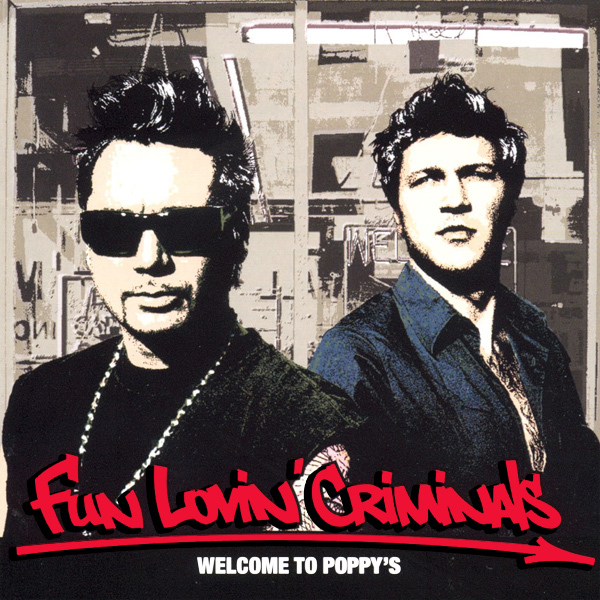 Thank you to Fun Lovin' Criminals for helping work out where exactly things are. It's now clear we must be at Poppy's place as they have clearly said Welcome To Poppy's. Where exactly that is, is less than clear, as the original album front cover artwork shows us not much more than a grey building. On the remix is a babe in a field full of poppies. Is her name also Poppy? That would make an enormous amount of sense. Field! 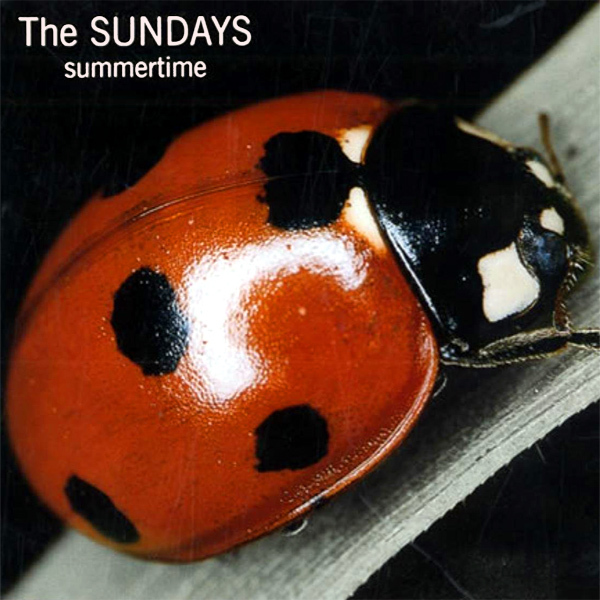 A summery triple-play for The Sundays and their single Summertime. On the original cover is a ladybug. Why this is representative of summer is not that clear. On the first remix, we have a babe standing in the sea in her bikini, which unfortunately seems to have gotten rather wet. It's a summery vision though. On the second remix a different babe has foregone her bikini altogether, and is standing in the altogether in a colorful floral garden. Wall! Take It Off, screech The Donnas from inside a television on the original front cover artwork of their single. The question is, who is acting upon their instructions. The answer comes in the form of the remix where a mature babe has done as she has been told and taken off her dress. She appears to be standing outside by a tennis court, which may not have been the most sensible place to have done this. Ping! It may be the summer, but that doesn't mean that every day is full of sunshine. 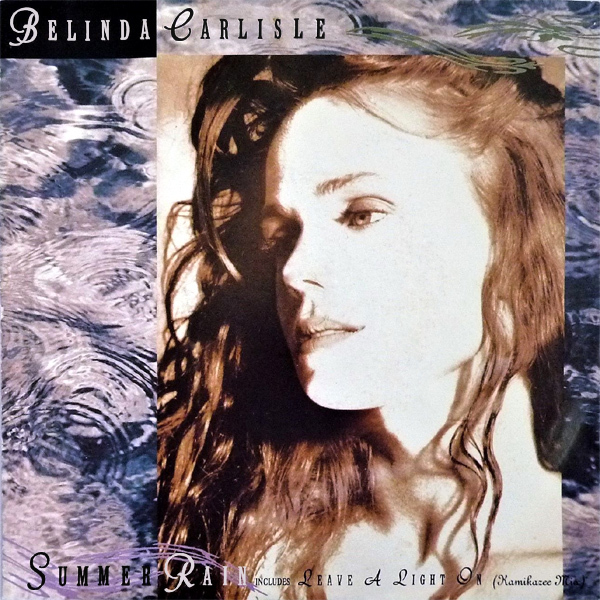 In fact it sometimes rains in the summer, and that is what Belinda Carlisle is explaining in her song Summer Rain. On the original single front cover artwork someone has had a go at placing a picture of Ms Carlisle amongst some raindrops. On the remix we find a couple who are kissing and cuddling in the rain, and it must be the summer as the babe is not wearing very much and she would be shivering in the cold if it wasn't. Logic! 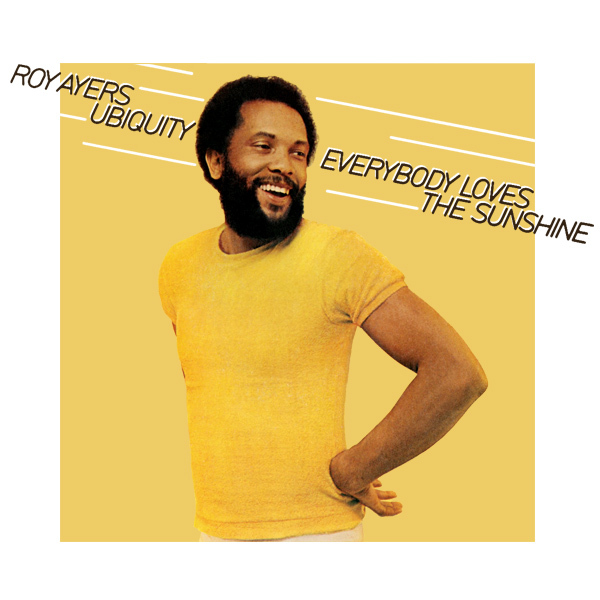 Not just one or two people, but Everybody Loves The Sunshine, according to Roy Ayers Ubiquity. To demonstrate this, on the original single front cover artwork, we find Mr Ayers in a sunny yellow t-shirt. On the remix we find a babe who is actually outside enjoying the sunshine, dipping her body in the sea by a boat. Nice looking bikini she has on. Chainmail! 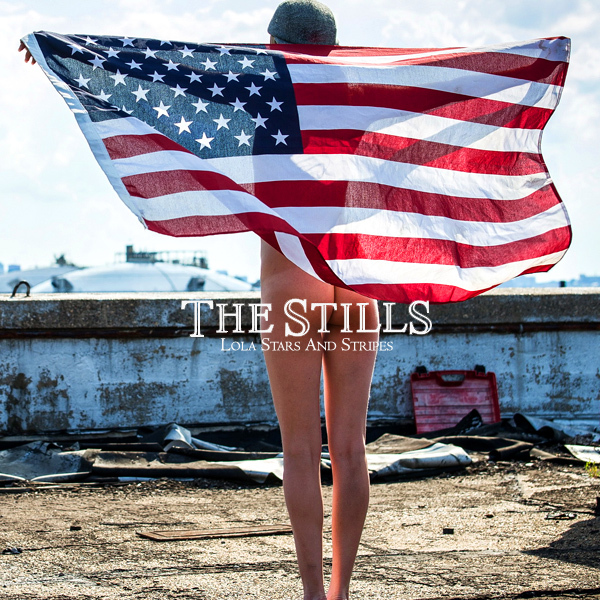 Something special for Independence Day, as we bring you Lola Stars And Stripes by The Stills. 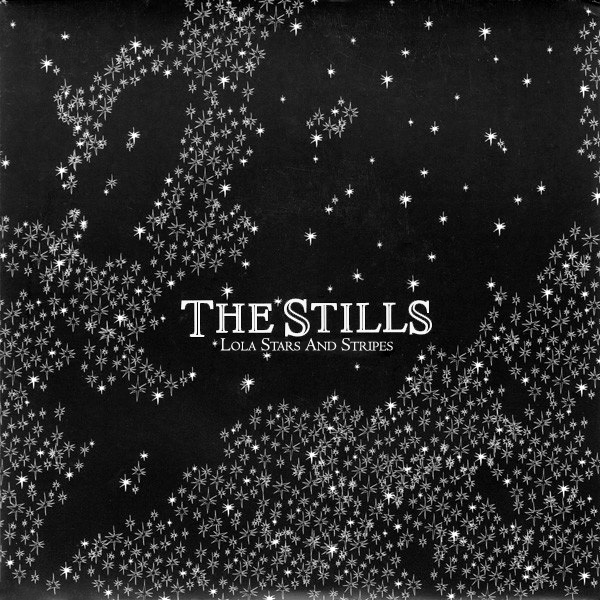 On the original single front cover artwork you will find some stars, but no stripes and no sign of Lola. On the remix we find the stars and stripes being held patriotically by a babe wearing nothing more than a military hat. Is she called Lola? It's a possibility, but even if she isn't, it doesn't detract from the celebrations. Salute!